Some supposed hardware specs regarding Samsung’s forthcoming Galaxy Gear smartwatch have come to light online, revealing that it’s a surprisingly powerful unit that should arrive featuring everything you’d expect of a modern smartphone. But in tiny watch form. 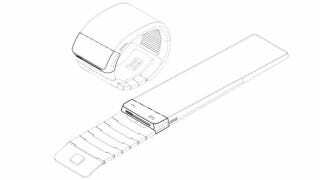 According to GigaOM, the Samsung Galaxy Gear will come with a 2.5-inch touchscreen display and will be accompanied by a camera built into the strap, plus Samsung has somehow managed to miniaturise speakers enough so that they can be integrated into the watch’s clasp. It also uses NFC and Bluetooth 4.0 LE for pulling in data from your even smarter phone. )Gizmodo UK is gobbling up the news in a different timezone—so check them out if you need another Giz fix.